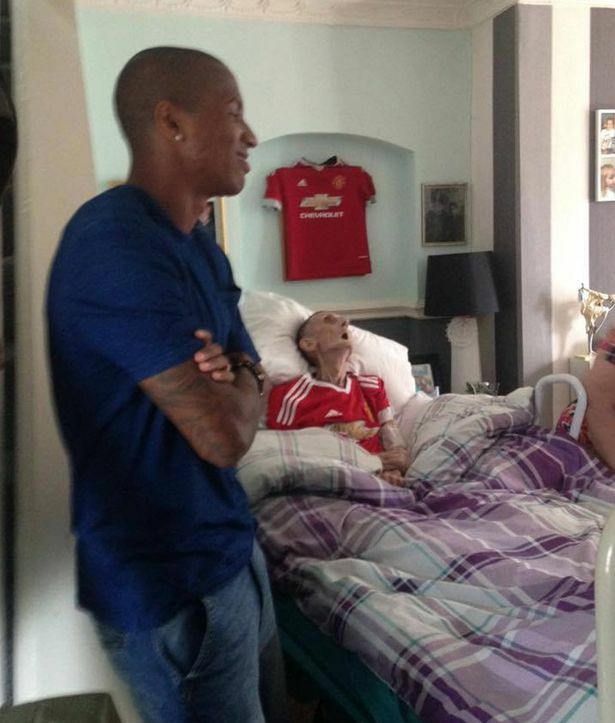 A lifelong Man United fan Paddy Lawler died 45 minutes after he met his heroes. 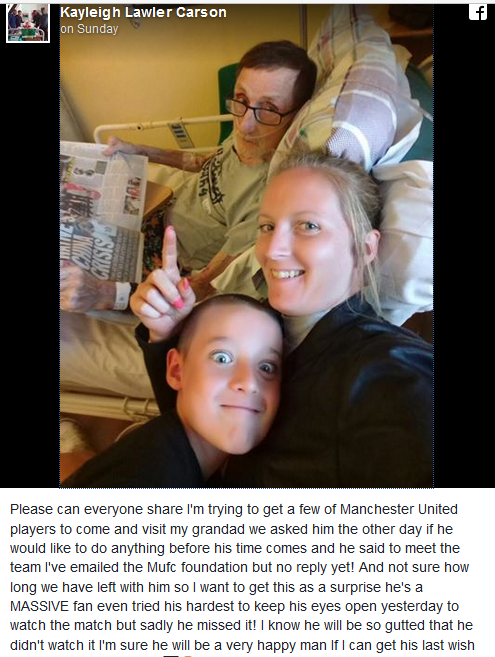 Paddy, a 73-year-old granddad from Manchester, had told his family he would love to meet some of his favourite players before he passed on. His granddaughter Kayleigh, posted an appeal on Facebook asking for his dreams to come true. 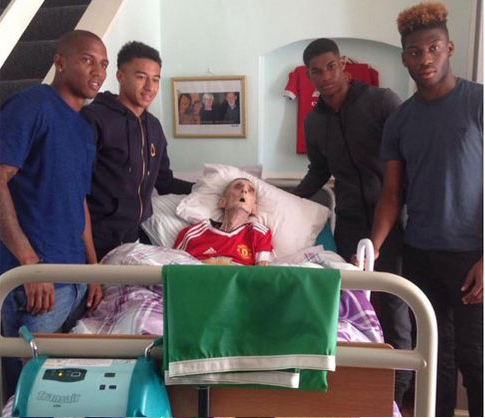 The post was shared more than 1,000 times and three days later some of United's stars - Marcus Rashford, Jesse Lingard, Ashley Young and Timothy Fosu-Mensah - came to visit. Less than an hour after the players left, Paddy lost his battle with prostate cancer.She then shared the photos on Facebbok,thanking them for making her grand dad a happy man.